Did the FBI Confiscate Nikola Tesla's Papers? A brilliant physicist, prolific inventor and a true genius Nikola Tesla developed a 'death ray'. Did the FBI confiscate those designs the day after he died? Nikola Tesla claimed to have developed a 'teleforce' weapon, the press coined it a 'death ray'. The weapon, according to Tesla, could be used against enemy armies on the ground or in the air. The teleforce weapon would send particle beams through the air at such colossal force that it would annihilate a fleet of enemy planes from a distance of 200 miles. This, Tesla claimed, would end all wars. Tesla took great care to not let the plans fall into the hands of enemies of the United States. Tesla died January 7, 1943 at the height of World War II, and more than one U.S. Government agency had an imminent interest in obtaining and securing those plans. Was it the FBI? Above photo credit: Federal Bureau of Investigation in the public domain. 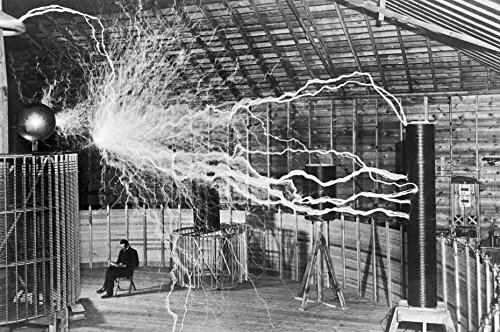 The FBI prepared a list of 'FBI Myths', Nikola Tesla's death ray is number 10. Ever since Tesla's death, the Federal Bureau of Investigations has denounced rumors that they are in possession of the 'death ray' plans. The FBI has repeatedly reported that representatives of the Office of Alien Property seized Tesla's papers for safekeeping. ('alien' in this instance refers to foreign persons). 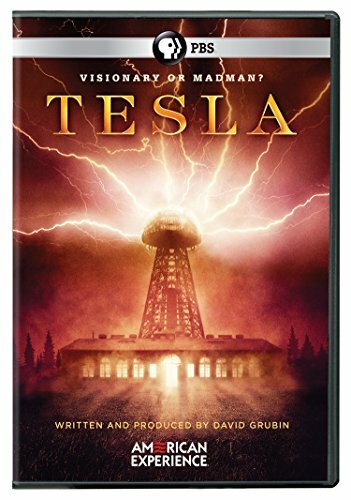 Tesla was a U.S. Citizen, so the jurisdiction of the Office of Alien Property is questionable. The original of this iconic photo was done as a double exposure. In 1942 President Franklin D. Roosevelt established the Office of Alien Property. During World War II the agency accumulated an enormous portfolio of real and intellectual properties belonging to enemies. In 1966 President Lyndon B. Johnson abolished the office. 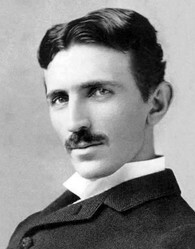 In 2013 under the Freedom of Information Act, President Obama ordered the FBI to release all papers in their possession relating to Nikola Tesla. [There are too many to list here but I've selected a few that I think are pertinent]. Sava Kosanovich was Tesla's nephew and heir, he also had strong ties to the communist party. The day after Tesla died, Kosanovich entered Tesla's residential hotel room reportedly to look for a will. Kosanovich gained access to the room by three representatives from the Hotel New Yorker while accompanied by Tesla's longtime friend, Kenneth Sweezey, custodians from the Office of Alien Property, and representatives of the Yugoslavian consulate. Tesla's safe was opened, some items were removed and recorded, such as personal photos, newspaper articles, a compilation of greetings from friends and the like. The safe was then closed and locked. In the letter to J. Edgar Hoover dated June 25, 1955, Mr. Sweezey is sure of at least one item missing from Tesla's effects. Hoover replied as having no knowledge of what was in or possibly taken from Tesla's safe. No, but I certainly will! Thanks for the recommendation. candy47, Have you seen the film The Prestigue with Christian Bale, Hugh Jackman and Scarlett Johannsson? David Bowie makes an unforgettable contribution as Nikola Tesla. I agree mihgasper! There is so much we don't know about Tesla. There are many myths about Nikola Tesla and we'll probably never know how many of his ideas stayed unrealized. I believe he was a dreamer above all. This world needs more dreamers! I agree blackspanielgallery. Back then they called him a 'mad scientist'. People criticize what they don't understand. Tesla was a genius. His work is still of value. Thanks Nate. I wish I could have known him. 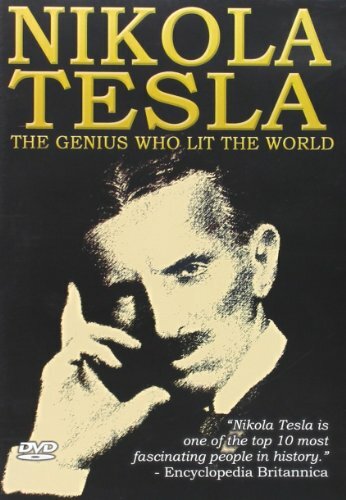 Everything about Tesla is fascinating, the information you've presented here included. He was a genius and could have changed the world. Good stuff. Affluenza has actually been argued as a legal defense for rich kids who apparently don't know there are consequences to their actions.